Brief: A poster campaign to promote themed days. Solution: We created posters, tabletalkers and leaflets to support the theme day events. Brief: Having established beautiful eating venues within a wide variety of businesses, Artizian wanted to add further interest by offering themed events on selected days. 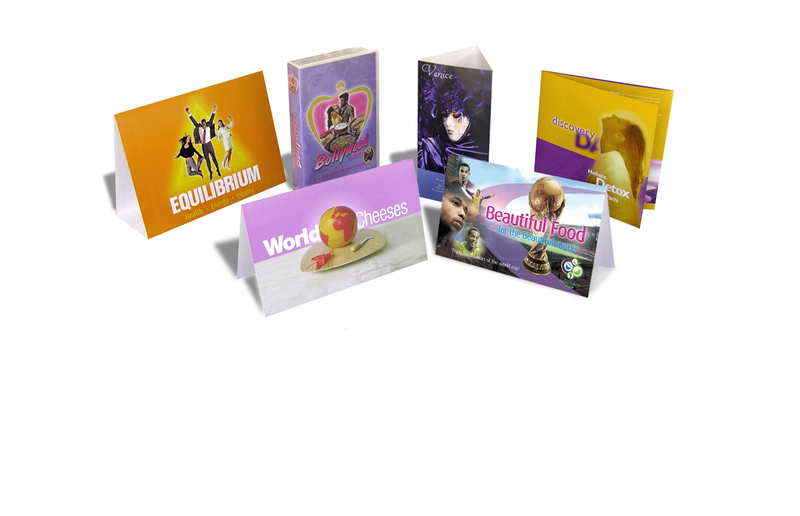 Solution: We created 'Discovery Days' and themed the various promotional items around the this identity, including 'tabletalkers', brochures and posters. 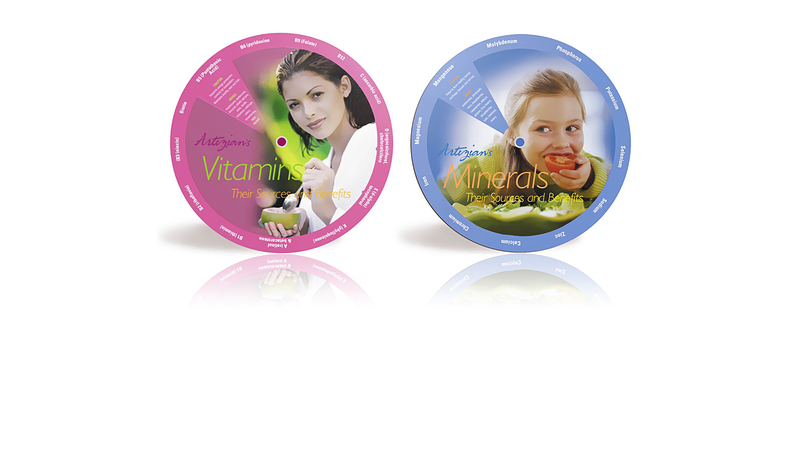 Brief: Design and produce a fun and informative vitamins and minerals chart. 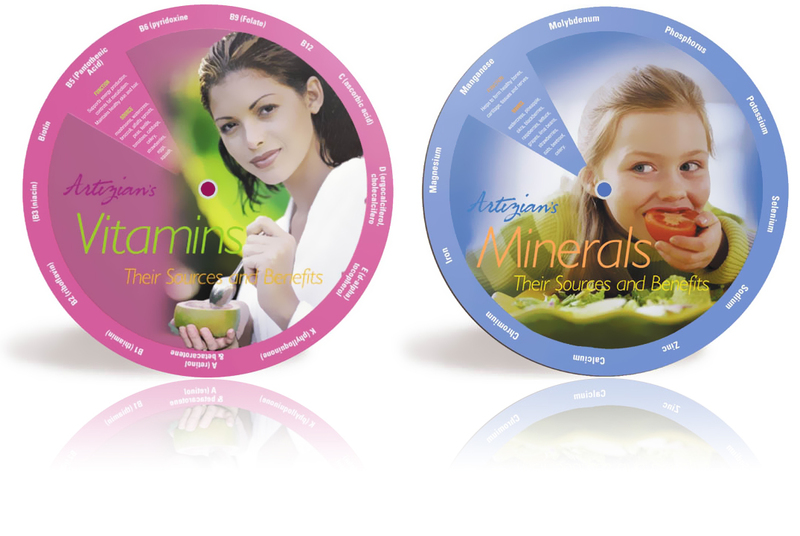 Solution: We decided on 'rotaries' to interact with the user to show the sources and benefits of vitamins and minerals. 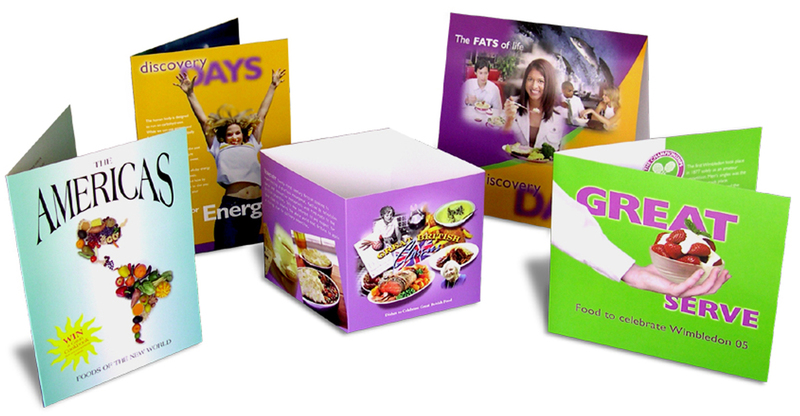 Solution: We created 'Discovery Days' and themed the various promotional items around the this identity, including the 'Tabletalkers' shown. 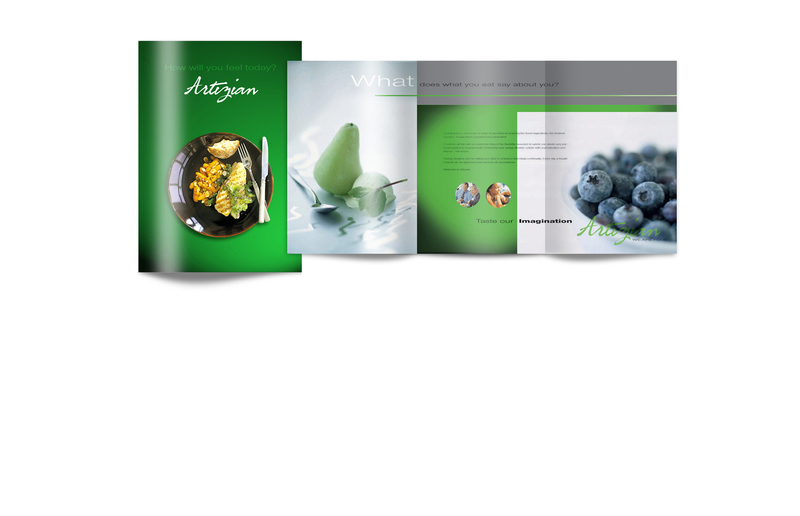 Brief: A brochure to present the vision of the business. 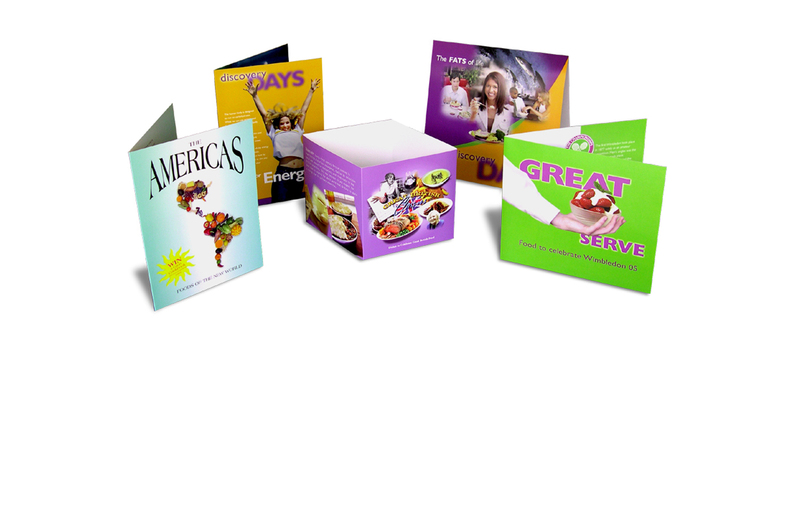 Solution: This crisp and angular design benefits from beautiful food pictures. 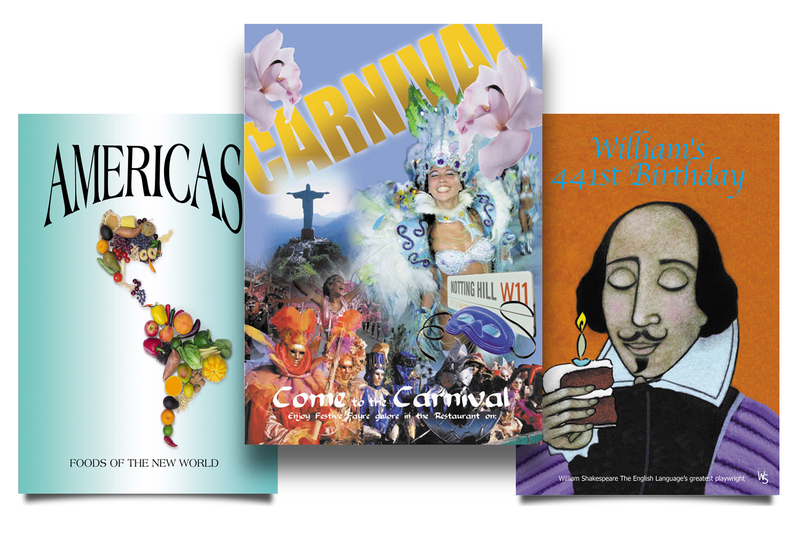 Solution: We designed the identity and the full range of literature. Brief: Publicity material promoting 'themed days'. 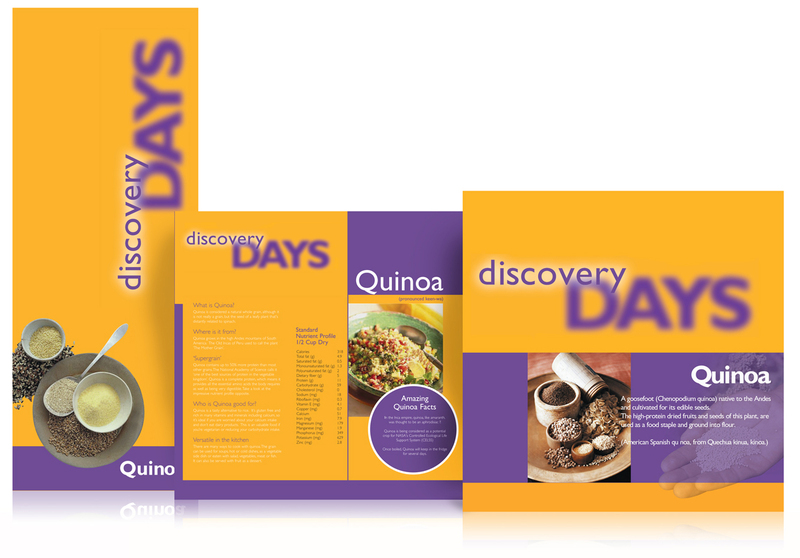 Solution: We designed this clean A suite of marketing material under the banner of 'Discovery Days', featuring brochure, flyer and tabletalker. 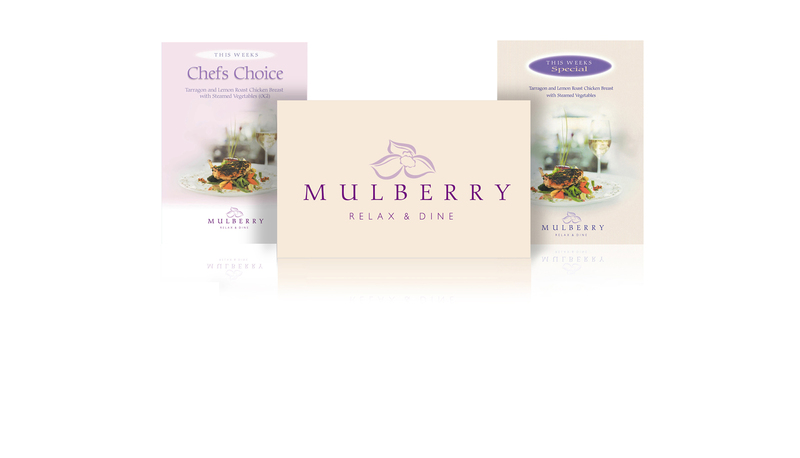 Solution: We created a sophisticated range of specials and standard menus. Brief: Publicity material promoting ‘themed days’. 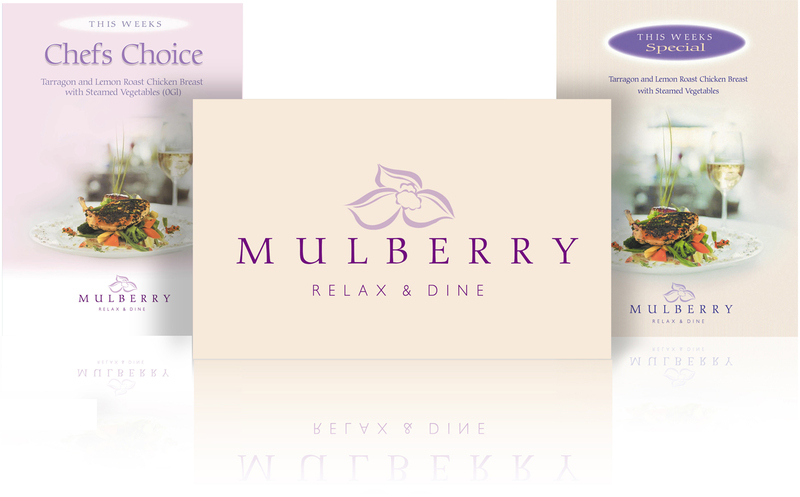 Solution: We designed this clean A suite of marketing material under the banner of ‘Discovery Days’, featuring brochure, flyer and tabletalker. Solution: We created ‘Discovery Days’ and themed the various promotional items around the this identity, including the ‘Tabletalkers’ shown. Title: V & M Promotion. Solution: We decided on ‘rotaries’ to show in a fun way the sources and benefits of vitamins and minerals to human health. 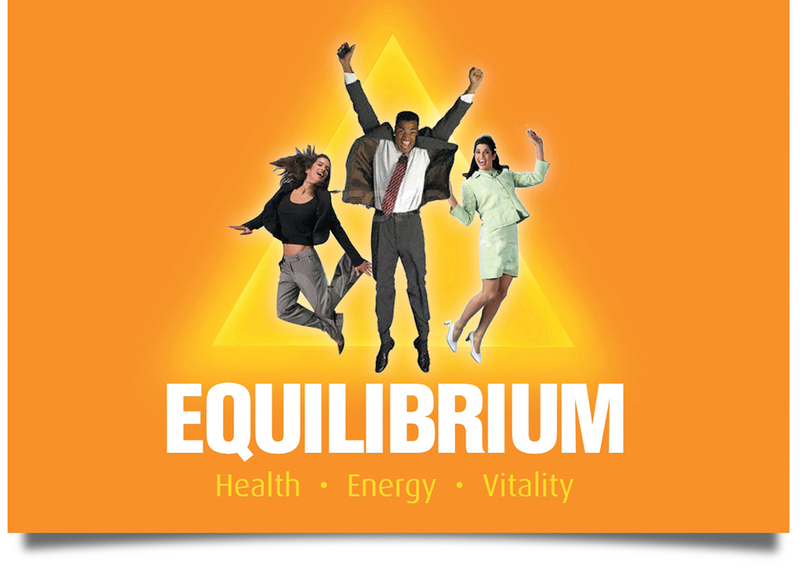 Brief: A poster campaign to promote the benefits of balanced nutrition. 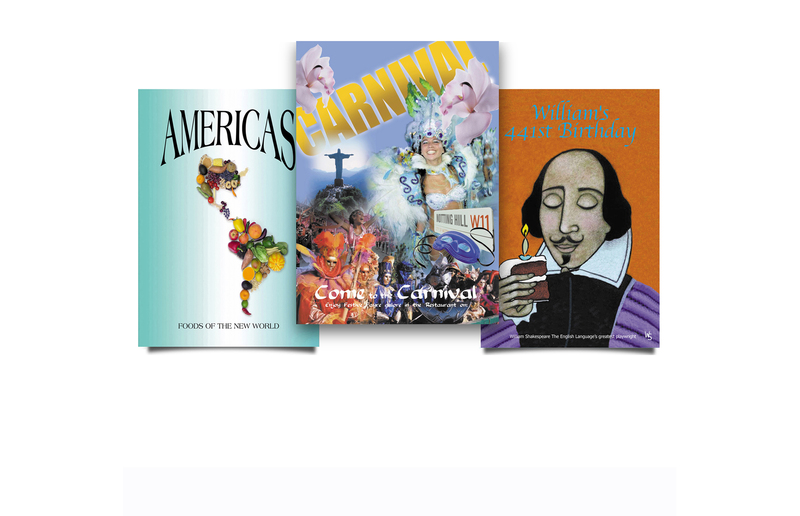 Solution: We created posters, tabletalkers and leaflets to present the information.